If you’re a business owner, you may be looking for better ways to attract top talent to your company. These days, employees are looking for more than a healthcare package and dental benefits ‒‒ they’re looking for a place that offers other valuable perks, such as office snacks, an on-campus workout facility, and fun swag that they can sport outside the office. At Perkaroma, we believe that the office doesn’t have to feel like work all the time. That’s why we’ve devoted ourselves to offering premier breakroom and snack supply services to businesses across New York and New Jersey. As a family-owned company with more than 50 years of experience, we offer cutting-edge restocking technologies and a broad range of products (over 50,000) to maximize workplace efficiency. In this blog, we’re going to look at some of the best snacks for productivity that you should keep in your breakroom or office kitchen. 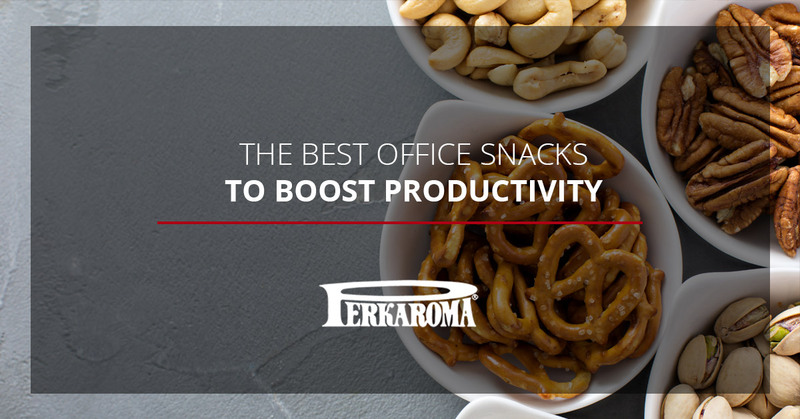 Unless you want the infamous mid-afternoon lull to affect the productivity and efficiency of your employees, it may be wise to invest in a snack delivery program with Perkaroma. We offer a plethora of heart-healthy snacks that your employees are sure to love, and when you sign up for our automatic restocking program, you’ll never have to worry about managing your breakroom inventory again. Now, let’s take a look at some popular snacks to consider for your breakroom that will keep your staff happy and healthy. Nuts are a great office snack to have on-hand at all times because they are tasty, convenient, and can be enjoyed by people on a variety of diets (such as keto and vegetarian). While everyone knows that nuts are full of healthy protein, did you know that they are also loaded with antioxidants? Nuts can also have a positive impact on cholesterol levels and triglyceride levels. 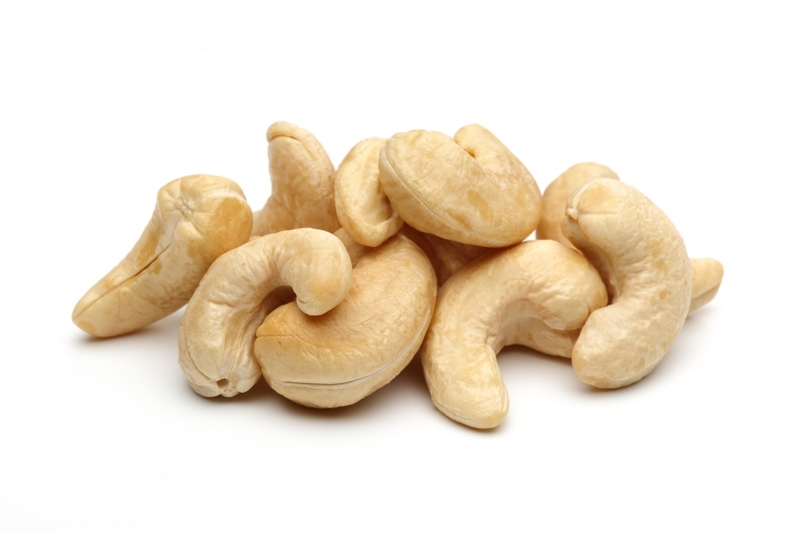 For these reasons alone, you should consider adding almonds, cashews, pine nuts, pistachios, walnuts, or hazelnuts to your breakroom supply list. Yogurt is one of the best foods to eat for proper digestion and optimal stomach health. Full of protein, calcium, and a handful of vitamin B’s, yogurt is an easy snack to keep in your office fridge. Yogurt is a great snack to give your employees because it can help strengthen their immune systems, leading to less sick days at the office. Did you know that eating an apple can wake you up just like a cup of coffee? Fresh fruit is a great snack to keep in the office because it is easy to eat, full of vitamins and minerals, and low in calories and fat. Bananas are a wonderful fruit to keep on-hand because they are an excellent source of vitamin C, potassium, fiber, and manganese. Oatmeal is another great snack to offer your employees because it is easy to eat and delicious. Oats are known to digest slowly in the body, which is ideal for sustaining energy and keeping focus throughout the day. If you’re ready to offer your employees healthy snacks, contact Perkaroma today. We’re New York and New Jersey’s premier office snack delivery service, and we can help you find products that will keep your employees happy, productive, and healthy.